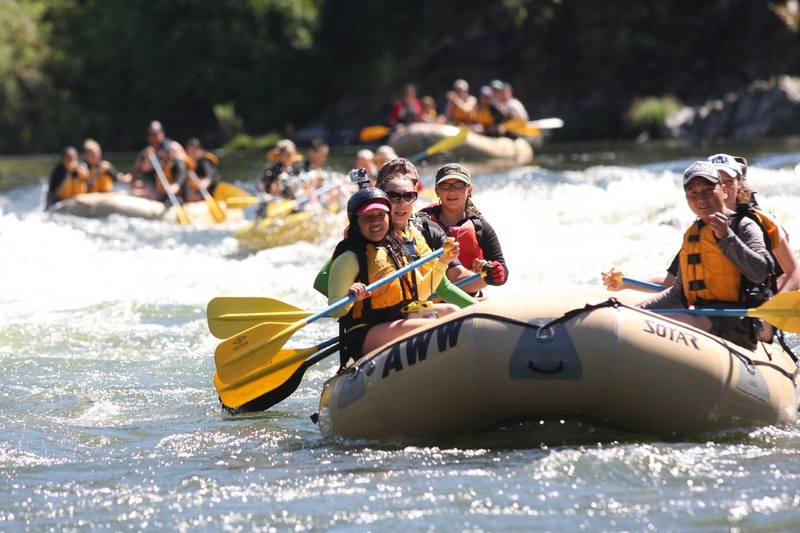 Learn how to guide a raft and sharpen your river safety and rescue skills while experiencing some of California's finest rivers! 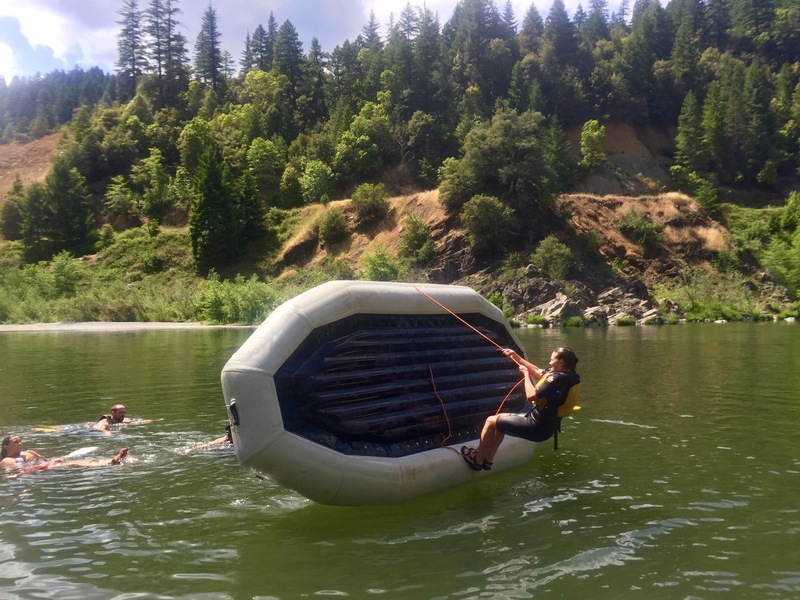 Join us at Paradise Point for a weekend guide training course taught by Ryan and Kyle Allred - the owners of Adventure Whitewater (who each have over 18 years of guiding experience). This course is great for beginners or those looking to advance their skills as a guide. 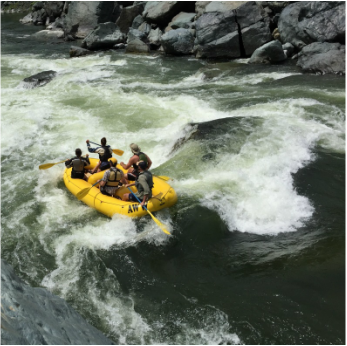 The Klamath and Salmon Rivers are the perfect training grounds with exciting whitewater with recovery pools in between rapids. 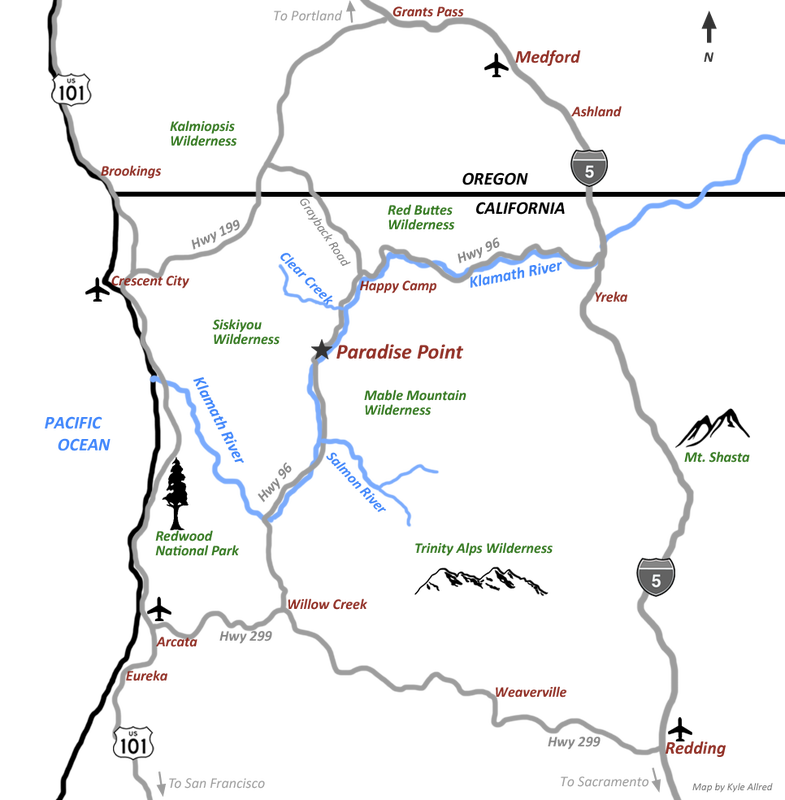 We'll begin with key concepts of river dynamics and hazards, understanding whitewater, equipment, river saftey and rescue, and specific guide techniques. We'll quickly progress to having each participant get hands on practice guiding (captaining) a paddle raft while sitting next to an experienced guide for feedback, skill building exercises, and support. 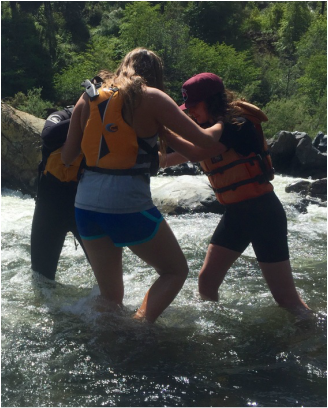 We'll also practice exciting and fun rescue skills such as righting a flipped raft, swimming techniques in rapids, and using ropes and other tools to provide rescue. These skills translate well to participants interested in kayaking, rowing an oar boat, canoeing etc. Weather and river flows permitting, each participant will experience class 4 whitewater on the world class Salmon River. Prerequisites: No previous training is required. You must be 16 years old to attend this course. Sunday, May 19: After breakfast at 7:30 (provided), morning instruction and skill building at Paradise Point until 10:30. 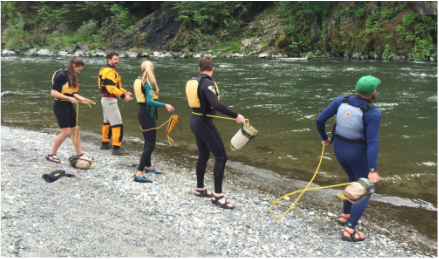 Gear up to raft and use the class IV Salmon River as our classroom for continued guide and rescue practice. The course concludes following rafting and a final discussion at about 4:30 PM. Participants are welcome to head home or spend the night at Paradise Point and leave the following morning. Includes life jacket, helmet, paddle, dinner on May 12, breakfast on May 13, deluxe camping at our private campground Paradise Point on May 11, 12, and 13 (if you'd like) with flush toilets, hot showers, and access to a kitchen. - Cold water gear (a wetsuit or drysuit). These can be rented in both Ashland and Arcata. - Tent / Camping/ rain gear in case of cold weather. Where does this awesome course take place? Our private campground Paradise Point in Northern California, see the map below, and click here for directions.